In a market that is saturated with so many fitness and training options – Cross Fit, HIT or High Intensity Training, Body Pump and more – it can be difficult to know which training program and workout routines are best suited to meeting your needs. 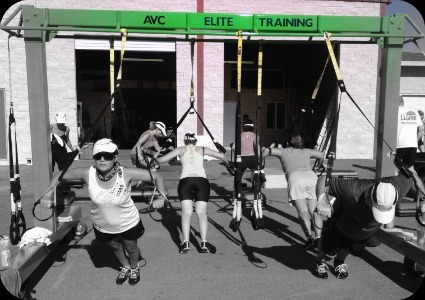 AVC Elite Training is superior and different than a Crossfit or pre-packaged HIT workout. This post will help clear up the confusion by discussing the top 7 ways AVC Elite Training workout routines beat Crossfit. Each Crossfit session features a Workout Of the Day (WOD) to be completed in a short amount of time – typically 20 minutes. Each WOD encourages use of very heavy weights on advanced exercises. The Crossfit emphasis is on speed and weight hoisted. AVC Elite Training workout routines include on-going instruction focused on proper form. 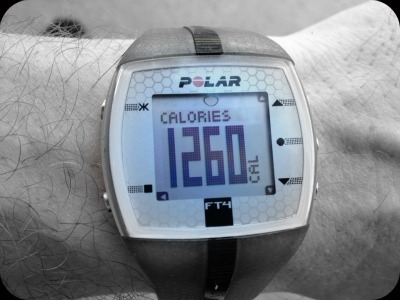 How quickly you can complete an entire workout is not a goal. Achieving desired results in terms of strength gains, stabilization or weight loss through safe, proficient execution of each exercise is the objective. The amount of weight used for each exercise is dependent on the particular movement and each trainee’s ability. Having a variety of weight options available and it getting the personalized feedback to perfect form is critical to your success. AVC Elite Training prides itself in providing top quality training and instruction ensuring the safety of its clients while challenging them to their full potential. Always remember that more weight or more reps doesn’t mean greater results without good form. Crossfit WOD sessions are constructed randomly, meaning without physiological reason as to why a specific exercise is placed in a particular workout and without consideration of how many times a specific muscle is being targeted within a session or period. Crossfit’s random workout routines are not productive muscle confusion and do not make a well constructed program. 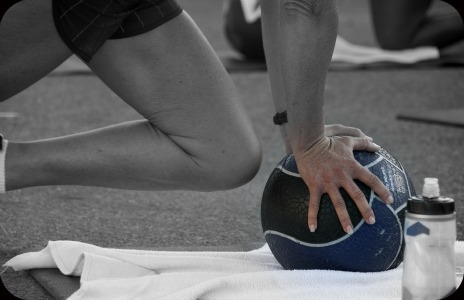 Random exercises – especially when lifting very heavy weight – can set you up for injury. AVC Elite Training sessions implement systematic muscle confusion within each workout to maximize results and protect you from injury. AVC Elite Training includes intentionally varied components within each 60 minute training session. Keys in every AVC Elite Training session including strength training and aerobic bursts working together to fire up the cardio metabolic effect. Your core engaged throughout each AVC Elite session and is emphasized with a challenging core segment. Crossfit workout routines are intended to be done daily. The name Workout of the Day reinforces that premise as core to the Crossfit program. What happens when you do the same workout 3 days in a row, without appropriate recovery. Hello injury; goodbye results! AVC Elite Training workouts are scheduled 2-3 times a week and never in consecutive days. Each AVC Elite trainee is allowed proper recovery and therefore achieves successive results. Crossfit exercises rely heavily on powerlifting and gymnastics, both of which are risky and unnecessary to achieve elite fitness. The complexity of Crossfit workout routines frequently takes skilled and well trained athletes months to execute effectively and without injury. Hypertrophy (muscle growth) can be achieved without putting you at risk for injury. In addition systematic muscle confusion, AVC Elite Training sessions are predicated on exercise science. For example, Amy’s years of experience in heart rate training help her use heart rate as a tool in instruction and coaching of all trainees. In the typical Crossfit session, everybody does the same routine (WOD). There appears to be no customization of the routine. This then poses a challenge for the Cross Fit client with postural imbalances, poor flexibility, muscle imbalances, joint problems. By contrast, AVC Elite Training takes into consideration your individual ability, physical and/or health limitations and customizes the training to meet your specific needs and goals. Furthermore, exercises that correct postural imbalances are always included within the training with the goal of balancing out weaknesses within the body. All AVC Elite Training groups are heterogeneous consisting of ages 26-66, male and female, with no segregation from the beginner to the advanced athlete. Individualized instruction and customization are a constant within the training. I do not believe that Crossfit has any methodical way of tracking a client’s progress over time. There appears to be no real progression to their system of training. So how do you know if you should sign-up again or renew your membership? Beats me. AVC Elite Training provides a systematic progression each training program of 8-10 weeks. Your individual progress is tracked within the program leading you to success, getting great results and being ready for the next challenging program. Today there are hundreds of Crossfit gyms popping up all over the world. Each Crossfit session is led by a coach(es) certified with training over a single weekend and willing to pay $1,000 a pop. Many of these coaches lack a depth of knowledge and experience – a scary proposition with the type of training they are presenting to the public. 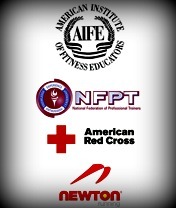 Amy is certified by the American Institute of Fitness Educators, the National Federation of Professional Trainers. Amy is also a Newton Natural Running™ Certified Coach in Arizona and Amy holds her Masters of Arts Degree in Curriculum and Instruction from Northern Arizona University. Amy is also a competitive runner, cycling enthusiast and soon-to-be Tough Mudder to complement her training program. Education and experience matter. Amy’s expertise means top quality training for each and every client, keeping you motivated, challenged and injury free. Each client is interviewed and screened and then integrated within the program in a safe and effective manner. No two AVC Elite Training sessions are alike within the training, keeping things fresh and ever changing. What would you add to this list as an AVC Elite Training student? Not yet a trainee, but interested in finding out firsthand how AVC Elite Training beats Crossfit workout routines? Visit an AVC Elite Training Session in East Mesa this week. Email Amy to sign up! This entry was posted in AVC Elite Training and tagged Crossfit, Form, Muscle Confusion by avcelite. Bookmark the permalink.